Back in April, 2017, the VA temporarily suspended the Program of Comprehensive Assistance for Family Caregivers in order to conduct a 3-month long review of the program. This review was prompted by complaints that ranged from inconsistent rules and standards across VA facilities to the discharge of hundreds of veterans and their caregivers without explanation, leading to congressional inquiries. After completing the review, the VA issued a new directive and has resumed full operation of the program as of July 28, 2017. This means that full implementation of the program will take place at all VA facilities. Under the new directive, the VA requires additional staff training to ensure that all personnel working with veterans and their caregivers are current on all of the requirements, regulations, and types of assistance available. In order to help educate veterans and their caregivers, the VA is standardizing the outreach materials used as well as the communication between facilities and veterans. The VA has updated its caregiver website, www.caregiver.va.gov, and it now includes links to home- and community-based services and resources available to veterans and caregivers. VA Secretary David Shulkin stated that, while the program has been reinstated, the VA plans to continue to refine and improve the program, acting on the information gathered during the review. For example, right now eligibility for the program is still being determined by a veteran’s primary care team, a process which can result in a veteran being eligible at one VA facility but denied assistance in a different area. The new standardized rules and regulations will ensure that they are uniformly applied at all VA facilities. Veterans and their caregivers are assigned to one of two caregiver support programs based on their needs. 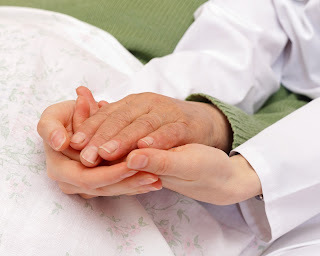 The Program of Comprehensive Assistance for Family Caregivers provides training and education, a monthly stipend, mental health care and respite care, among other things, for approved family caregivers for severely injured veterans whose injury occurred or was aggravated in the line of duty on or before 9/11, 2001. The Program of General Caregiver Support Services provides training and support for caregivers of qualified disabled veterans of all eras. One significant improvement that Secretary Shulkin would like to see implemented is to extend eligibility for the Program of Comprehensive Assistance for Family Caregivers to severely injured veterans of other eras, not just post-9/11. This would require congressional approval, so it might be a while before we see this become reality. The VA has also set up a new Caregiver Support Line which is staffed by licensed social workers and provides information about the caregiver programs, counseling, referrals to local caregiver programs, and more. To reach the Caregiver Support Line, please call 1-855-260-3274. (Medically) and who had less than 20 years service. You say how is this a reminder? Simple a promise was made to medically retired veterans that after a period of time they would be included in concurrent receipt. If memory serves me correctly concurrent receipt was approved in 2000, that is 17 years ago, and medically retired veterans are still waiting. Thank God Harry Reid got something right under Combat related special compensation, , at least chapter 61 retirees were included. As a veteran rated at 100% for almost 20 years ( initially TDIU then 100%) because I am a not pre 9 11 veteran I am not entitled to caregiver support, or should I say my wife is not entitled to receive traning and a stipend. This fact irritates me to no end. I feel terrible for my wife who has be my primary caregiver for over 20 years. Sure I get aid and attendance but compared to the caregiver program , its nothing. Like concurrent receipt, they have been talking a long time about extending the caregiver program, I doubt it will ever happen in my lifetime, and shame on congress for treating disabled veterans differently because they served at different periods. It's true that the VA and Congress have a long way to go to make all of their programs and policies fair for all veterans. Let's just hope they continue moving in the right direction.